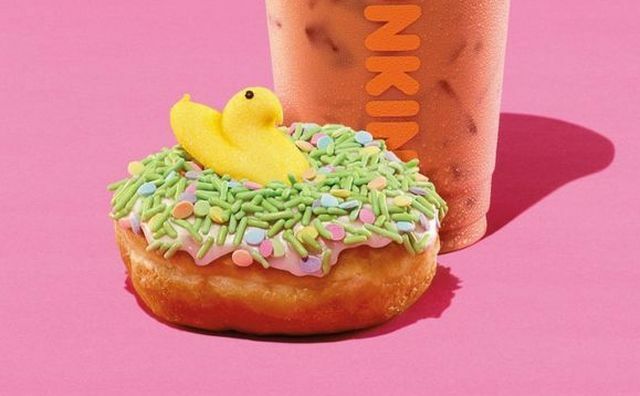 New Peeps Marshmallow flavor can be added to hot or iced coffee, espresso drinks, frozen coffee, and frozen chocolate, while the Peeps Donut features a ring donut with white icing topped with green sprinkles and an egg-shaped sprinkle blend, plus a mini yellow Peeps Marshmallow Chick. Both the coffee flavor and donut will stick around for a limited time at participating location nationwide, while supplies last. The chain is also offering a deal through April where you can get any medium-sized Cold Brew for $2 from 2 PM to 6 PM.